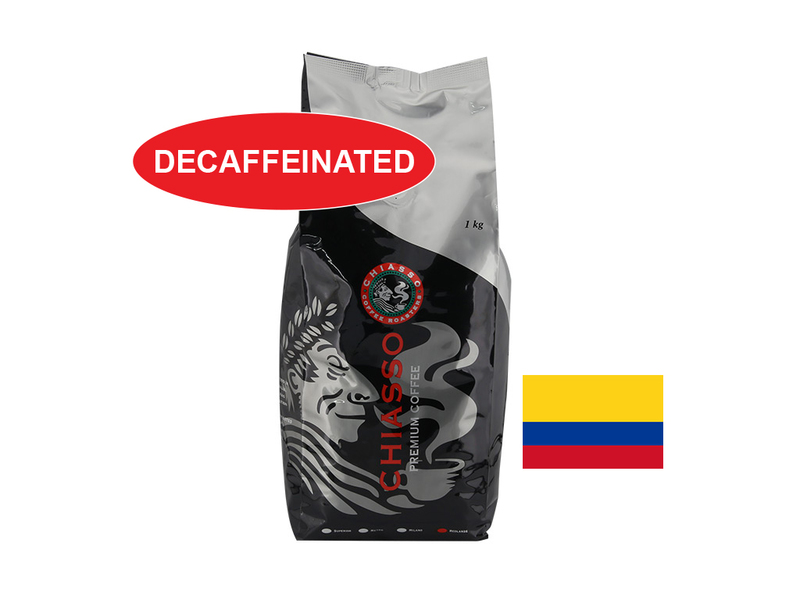 Our dark roasted Colombian decaffeinated coffee is produced via the 'sparkling Swiss water' method of decaffeination. Tastes so good you won't believe it's decaf!r. Our dark roasted Colombian decaffeinated coffee is produced via the 'sparkling Swiss water' method of decaffeination. Tastes so good you won't believe it's decaf!